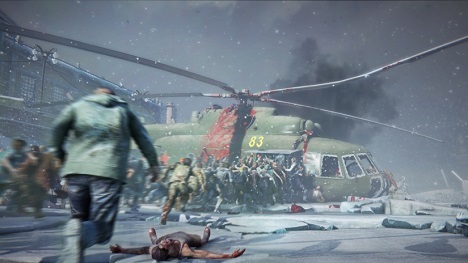 World War Z is a co-op shooter from Saber Interactive & it will release sooner than expected. A recent announcement confirmed World War Z release date. The game is set to release worldwide on 16 April, 2019 & you need to purchase this game on PC exclusively through Epic Games Store. WWZ features 6 different classes playable across missions set in New York, Jerusalem & Moscow – all locations are chosen from the movie. There is a 4 player co-op campaign available & the game features five multiplayer modes. You need to save yourself from the horde of Zombies too in PvP modes. You can pre-order this game now & you can access the Lobo Weapon Pack which comes with the pre-order. This pack contains 3 golden weapon skins, & a unique melee weapon: a dual bladed spade. Does any body like Zombies?